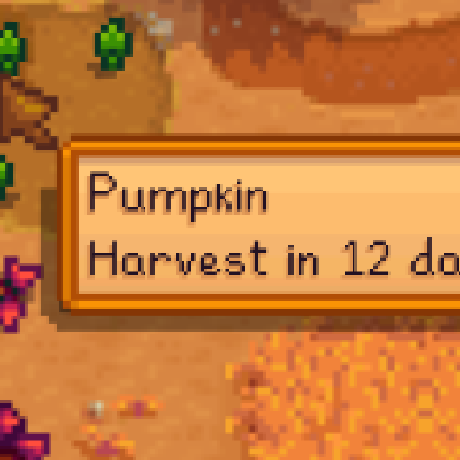 Show the time left on your harvest with a tooltip, when you hover over a crop. Will also show if a crop will die before the season is over. A configurable keybind to show and hide the tooltip. Default is "O"